​Differentiated instruction is probably one of the most common phrases echoed in American schools today. 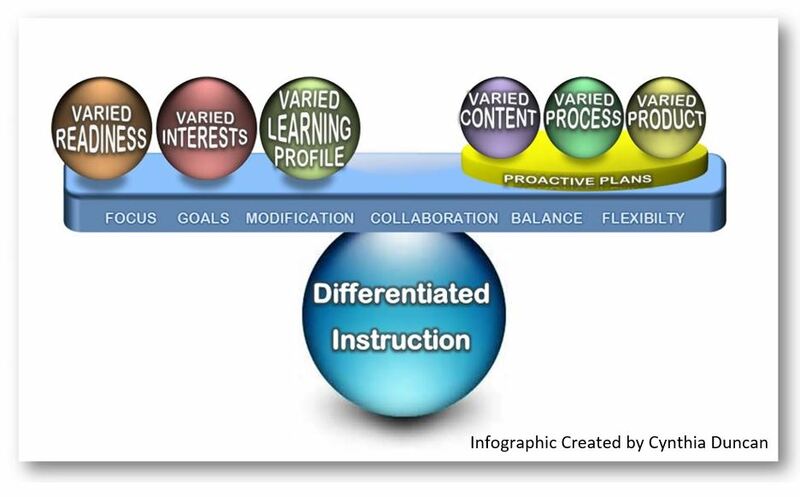 In fact most teachers if asked would proudly claim to exercise differentiated instruction in their classroom but what does differentiated instruction really mean and what does it look like? All teachers notice student differences and most react in one way or another. However true differentiated instruction involves proactively planning instruction to address student variations in readiness, interest and learning profile (Vasicek 2010). Reflecting on my own teaching experiences and through research, I have identified several key elements to differentiated instruction: focus, awareness, goals, modification, collaboration, balance, and flexibility. Focus - A teacher needs to identify and focus instruction around the essential concepts, principals, standards, skills, etc. The teacher needs to translate this to student in a meaningful way. The student needs to understand what is essential for them to recall, understand and do. Awareness – All students are different. They come to the classroom with different life experiences, multiple intelligences, etc. A teacher must attend to these differences. Students need to feel respected and valued. Differentiated instruction is rooted in the belief that all students have the capacity to succeed at learning. Goals – A teacher needs to know the individual needs of each student. There needs to be ongoing assessments. Based on the gathered information (data), goals need to be set to meet the diverse needs of the student. There needs to be continual progress monitoring and adjustments. Modification – In differentiated instruction a teacher may modify the content, process, or products (or any combination of the three). Students vary in their readiness, learning profile and interests. A teacher using differentiated instruction will not only recognizes these differences but will plan and modify instruction based on them. Through active progress monitoring and student input a teacher will identify when modification need to take place. Collaboration – Great exciting things happen when students and their teacher collaborate in learning. A teacher needs to know what learning is essential, how to identify needs, set goals and assess but the students has a role in the process as well. Students need to develop ownership. When students take ownership they make informed choices that enhance their learning. The classroom is student centered. Balance – A teacher needs to understand and share group and individual norms. Differentiated instruction has a balance between individual and group tasks. Students often take up more of a leadership role. “Teachers who differentiate instruction have to manage and monitor many activities simultaneously. And they still must help students in developing ground rules for behavior, give and monitor specific directions for activities, and direct the sequence of events in each learning experience” (Tomlinson 2001). Flexible – A teacher may be flexible in instructional strategies, pacing, materials, grouping. A teacher might allow students to work in teams. Students might be allowed to select their product. One of my favorite ways to differentiate my instruction is through project-based learning. The Glossary for Education Reform defines project-based learning as “any programmatic or instructional approach that utilizes multifaceted projects as a central organizing strategy for educating students” (2013). Project-based learning is inquiry-based and typically starts with a problem or issue. Students then research and investigate the problem or issue. Students learn by doing. The Glossary for Education Reform points out that “when engaged in project-based learning, students will typically be assigned a project or series of projects that require them to use diverse skills—such as researching, writing, interviewing, collaborating, or public speaking—to produce various work products, such as research papers, scientific studies, public-policy proposals, multimedia presentations, video documentaries, art installations, or musical and theatrical performances, for example” (2013). Project-based learning may take a couple weeks or longer. Projects typically integrates multiple standards from multiple academic subjects. Project-based learning is a natural structure for differentiation instruction. Differentiated instruction is based on varied student readiness, interests and learning profiles, all which can be incorporated into project-based learning. Projects should take into account where students are academically (knowledge and skills). Projects should be challenging and rigorous with varied scaffolding to meet the needs of each student. Projects are developed based on interests of students and student engagement and motivation. Finally, John McCarthy, expert on differentiated instruction, points out that project-based learning “provides many ways to create opportunities for students who learn well visually, verbally, interpersonally, and so on, and yet stretch them to learn in new ways” (2012). I have had great success with project-based learning in my classroom. 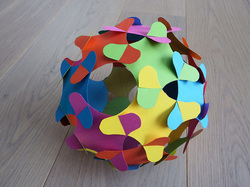 One of my favorite project-based unit that I created is “Exploring the Old with the New”. The unit is built upon differentiated instruction. It is a multi-subject unit with authentic learning. It is an example of how I can step into the facilitator role and let students’ inquiry drive them. Another way I have demonstrated my understanding of differentiated instruction is through a teacher tool I created. The tool helps teachers and students discover and identify the gaming make-up of the class. 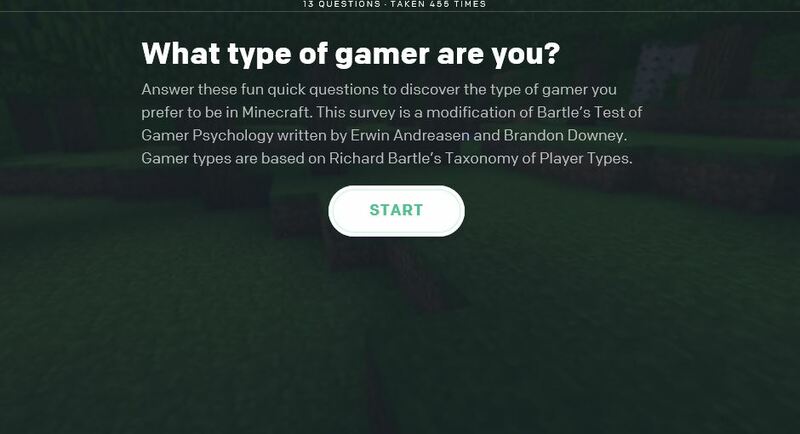 The survey is a modification of Bartle’s Test of Gamer Psychology written by Erwin Andreasen and Brandon Downey. Gamer types are based on Richard Bartle’s Taxonomy of Player Types. Knowledge of a student’s gamer profile can help a teacher individualize instruction to maximize success. I understand that as I relinquish some of the control and choices it can feel a little messy at times but it continues to get easier with each project. I enjoy learning side by side with my student. My excitement and attitude rubs off on my students and likewise their excitement motivates me. The quality and level of understanding my students gain from project-based instruction far exceeds any worksheet or lecture I could give them. It’s memorable, impactful learning. Differentiated instruction requires proactive planning and dedication but seeing students positively taking responsibility for their learning make it all worth it. Smith, G. E., & Throne, S. (2009). Differentiating instruction with technology in middle school classrooms. Eugene, Or. : International Society for Technology in Education. Gamer Quiz is teacher tool I created that demonstrates my ability to differentiate instruction.. The tool helps teachers and students discover and identify the gaming make-up of the class. 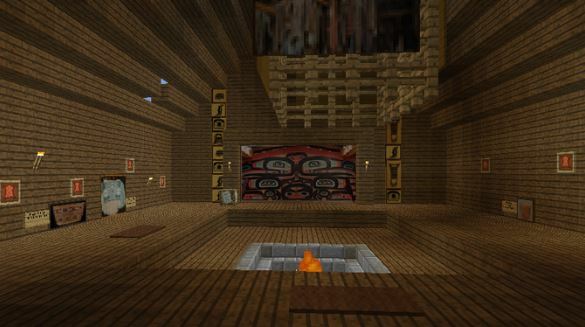 The survey is a modification of Bartle’s Test of Gamer Psychology written by Erwin Andreasen and Brandon Downey. Gamer types are based on Richard Bartle’s Taxonomy of Player Types. Knowledge of a student’s gamer profile can help a teacher individualize instruction to maximize success.